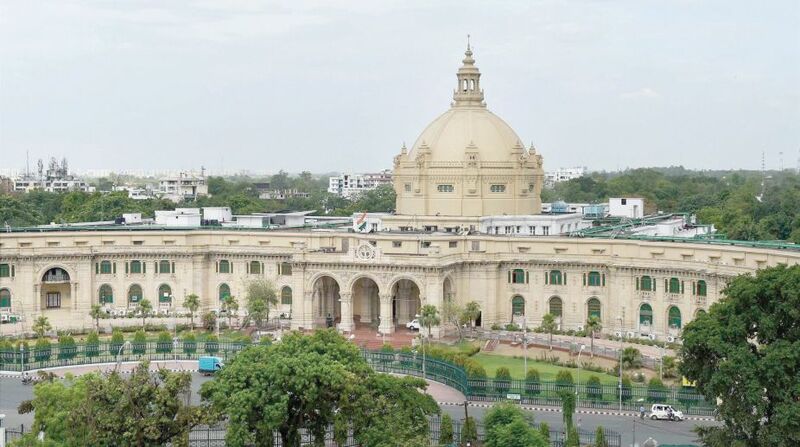 Pandemonium rocked the Legislative Council of the Uttar Pradesh legislature on Monday, 12 February, as the budget session resumed after a two-day break. Opposition Samajwadi Party (SP) and Bahujan Samaj Party (BSP) legislators trooped near the Chair’s podium alleging that the “law and order machinery in the state has completely collapsed”. Despite several attempts by the Chair to pacify the irate lawmakers, the ruckus continued for well over 30 minutes after which the House was adjourned. The BSP and SP legislators raised the matter of the killing of a Dalit Law student in Allahabad. They said the impunity with which the youth was killed on the city roads reflected the “lawlessness in the state”. SP leaders also objected to Chief Minister Yogi Adityanath’s alleged statement that the Samajwadi Party was a “party of terrorists”.